Investigators are piecing together how an airline ground agent stole an empty commercial airplane, took off from Sea-Tac International Airport and crashed into a small island in the Puget Sound after being chased by military jets that were quickly scrambled to intercept the aircraft. 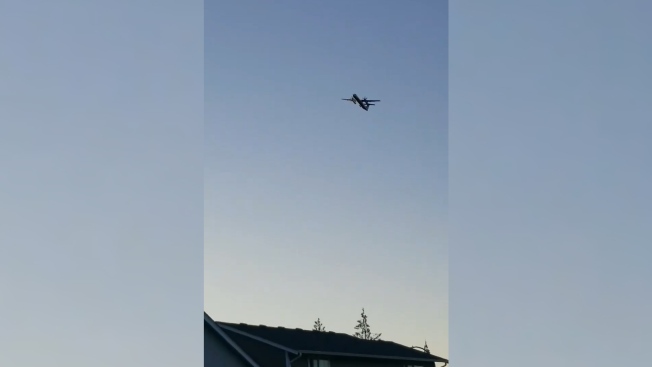 Cell phone video captured a stolen airplane making erratic maneuvers in the sky over Seattle before crashing into an island. "This is a complete shock to us," the family of Russell, who was known as "Beebo," said in a statement read Saturday evening by a family friend. "We are devastated by these events, and Jesus is truly the only one holding this family together right now. Without him, we would be hopeless." The family added that he "was a faithful husband, a loving son, and a good friend." They said voice recording shows Russell's "intent was not to harm anyone. He was right in saying that there are so many people who have loved him." Russell could be heard on audio recordings telling air traffic controllers that he is "just a broken guy."